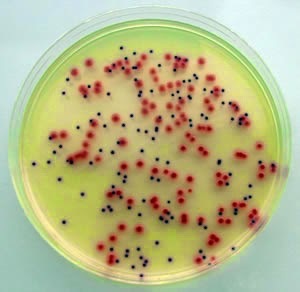 Drug resistant bacteria - just how much of a problem are they in a typical Chinese hospital? With broad spectrum antibiotics easily available over the counter in China - and the Chinese cultural expectation of an antibiotic as the magic bullet for every viral fever - it's not surprising that drug resistance is a major problem in the PRC. But just how common is the problem for a typical provincial hospital? The rather worrying answer is quite a big problem. A study carried out in the Liaocheng People's Hospital in Shandong has found that one in three bacteria samples obtained from around the hospital were multi-drug resistant. Researchers at the hospital took almost 10,600 microbial samples from around the hospital and found that 33.4% were multi-drug resistant pathogens such as ESBLs producing E. coli and A. baumannii. The blackspots for resistant bacteria were in surgical departments and the intensive care department. Samples obtained from respiratory and secretions were the greatest source of resistant bacteria. The obvious consequences of these multi-drug resistant bacteria are treatment failure, longer hospital stays, increased mortality, and higher hospitalisation costs. As the authors conclude, their findings show the need for much greater attention to antibiotic resistance, especially from respiratory cases and surgical wounds.